Upon arrival at the trailhead, you enjoy a 2 to 3-hour scenic horseback ride to camp along Big Timber Creek, into the heart of big elk habitat. 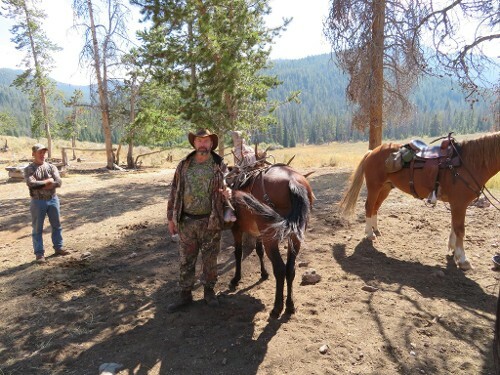 Our camps are furnished with comfortable tents and wood stoves, and come with delicious home-cooked meals, gentle mountain horses, and friendly, professional guides for your ultimate elk hunting experience. From camp, you and your guide easily access game trails, wallows, or blinds, or you may prefer to stalk the many ridges, creeks, and hundreds of small hidden meadows in search of your backcountry trophy. 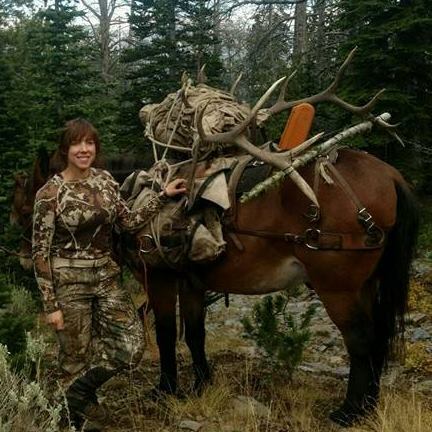 Once you head out in search of archery elk, you can traverse 300 square miles of hunting terrain. This terrain consists of high mountain meadows and wallows. 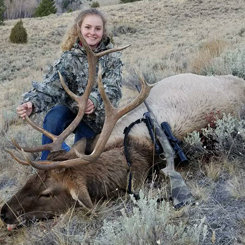 Pre-scouting is always done before you arrive in order to locate the elk for our hunters, and archery elk hunting trips are available on a one-on-one guide/hunter ratio to help you come home with the prize. Although we don’t guarantee you will harvest an animal, we do guarantee that you will be in the middle of elk country. 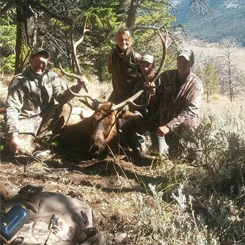 We have a lot of archery elk and some Trophy Bulls! 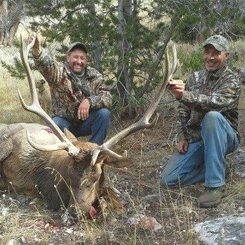 Please go to the Idaho Fish and Game website for Fees of Licenses and tags. We are blessed with a controlled unit that has produced trophy bulls in the high 300 classes. In the 2009 hunting season, the Fish and Game had only180 tags for approximately 2.9 million acres. 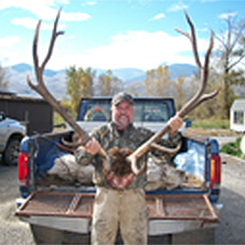 You must purchase an Idaho hunting license to apply for the draw. The Non-Residents application fee is $14.25 and Resident is $6.25, but do not put in for the unit. We would advise that you contact us to help you apply for these tags. We recommend letting us help you with the paperwork. 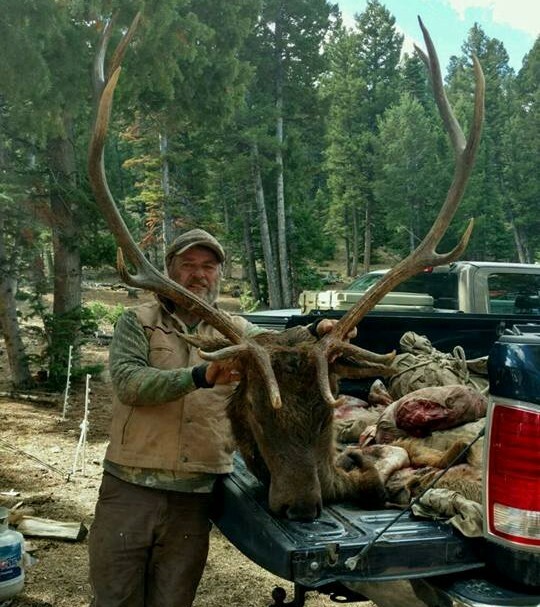 Contact your hunting outfitter now at (208) 993-1688 or (208) 993-0194 in Salmon, Idaho, for more information on license and tag rates.